Not much beats a cup of cuppa, except perhaps making one! Master the craft of latte art by learning the ropes at your local neighbourhood café joint, and serve up the frothy brews while you’re at it. The smiles and satisfaction of your customers will simply be the cherry on top of making that perfect cup of coffee! If you’ve got a soft spot for animals, why not reach out to home owners searching for individuals willing to take care of their pet (and house) while they’re overseas? Finding a willing party to entrust you is possible via a quick search on apps like Pawshake, local forums or online communities, or scouring pet interest Facebook groups – there’s bound to be a fellow pet lover looking for someone to perform simple tasks like feeding or walking their pets. Responsibilities can range from daily house visits, to possibly staying at the owner’s place while they’re away, or even boarding their pet at your own place. Similarly, the money you’ll earn really depends on the arrangement you have with each client, but additional skills like being able to groom, train or even administer medication to animals will surely come in handy. What if we told you that you could earn money while on a shopping spree? Grocery shopping that is. Make a date with the supermarket and become an ad hoc grocery shopper for customers too busy (or lazy) to do it themselves. Through groceries delivery services like Singapore’s own Honestbee, you get the flexibility of even choosing which products suit the customers best, and you won’t even need to lug the heavy bags to their door step – other delivery “bees” will get that job done so you won’t break a sweat. While the social media phenomenon Bigo Live swept the youth scene when it launched late last year, it quickly drew flak for the negative undertone of the app not serving a “PG” purpose. 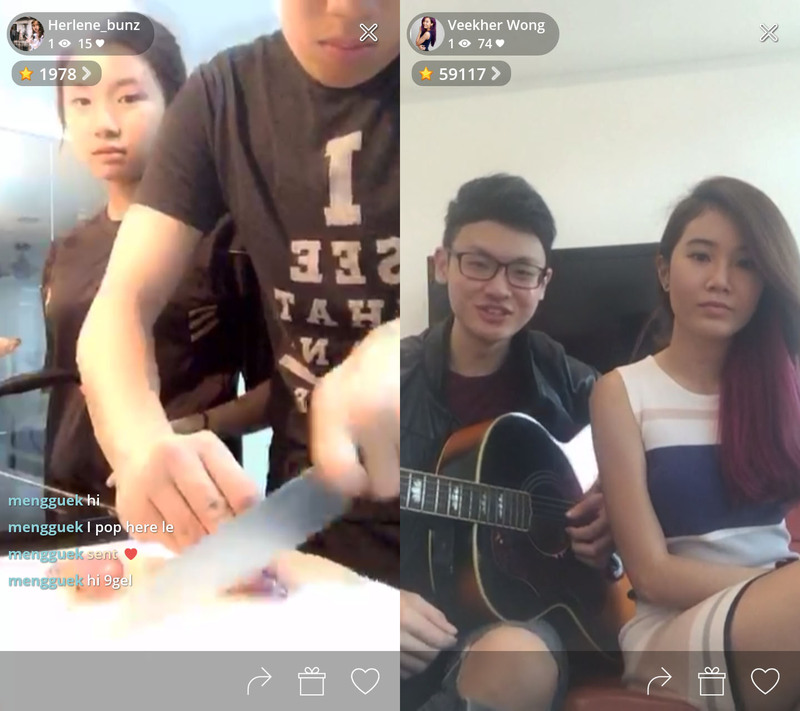 That’s where local inception BeLive looks to differentiate itself in the live streaming scene, with a heavy focus on showcasing talents – from singing to cooking to magic tricks. And it seems to be working. With support from investors like MediaCorp and promotion via influencers, the app is fast rising as an alternative (and SFW) source of income for many comfortable in front of an online audience. Gain “stars” as you grow your viewership, and eventually cash out your “stars” just for showcasing your hidden talents! BRB while we go set up an account…. Remuneration: Up to $100/stream, and a potentially budding fanbase! More info here. BeLive is available on the Apple iTunes App Store and Google Play Store. When it comes to concert tickets, we’re quick to snap them up, but why not try your hand at selling them (the legal way) too? 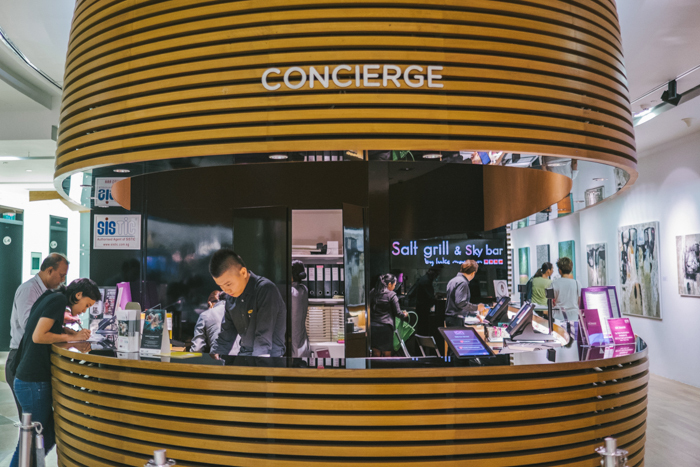 Sign up to be a ticket sales agent where you can practice your customer service skills by helping others book tickets for upcoming events, handle the sales process from start to end, and share more about the latest ongoings Singapore has to offer. Don’t count out driving Uber or Grab cars as chauffeuring for retirees – millennials are starting to jump onto the bandwagon as well. And for good reason! Drivers get additional incentives based on various factors such as the number of trips performed, number of hours driven, etc. and these can help chalk up attractive earnings of up to $7000-8000 per month (!) – making this the prevalent part-time option for many. And if you don’t have your license to drive just yet, this is only a greater motivation for you to do so once you hit the legal age. It’s also a convenient way to socialise and explore new sights around the city! The tuition teacher you dreaded seeing at your doorstep when you were younger could very well now be you, should you opt for taking on tuition jobs during the school break. Brush up on your basic subjects and get ready to take on potentially distracted kids and worried parents, in exchange for a rewarding fee – made even better if you have multiple students at one time. Sometimes the fun of the game is being an observer instead of a participant. Board game cafés are a frequent hotspot for weekend group hangs or late-night chill sessions, so why not try your hand at hosting board game sessions amongst groups of friends? Expand your knowledge of the board game world by learning the tips and tricks from the many variations and showcase your newfound expertise by sharing how each works to customers. Hey, you could even sneak a round or two with colleagues after working hours! Take our quiz in the June issue of Teenage to find out what part-time job suits you best, out on newsstands now! Marking his foray into the tourism and hospitality industry through his Bachelor of Science (Hons) International Tourism & Hospitality Management degree with MDIS, Joshua Koh shares his insights gained thus far. With tourism being a key factor in Singapore’s economy, the demand for hospitality and tourism employees has always been high. But behind the glitz and glamour of lush staycations, impressive events and posh hotels, lie tons of hard work, sweat and sacrifice. Just ask Joshua Koh, MDIS Bachelor of Science (Hons) International Tourism & Hospitality Management alumna. When asked about his first real taste of the industry, Joshua recalls, “I was tasked to entertain guests, and to be a waiter to collect their dishes. The hours were really long and it was [the norm] for staff to pull overtime.” He continued, “The hotel industry is not as glamourous as it seems. There’s a certain level of stress, meeting customers’ expectations.” Nevertheless, Joshua remained undeterred. Seeking to further his passion for the hospitality field – he was initially studying in another private institute – Joshua Koh turned to a trusted friend for advice. 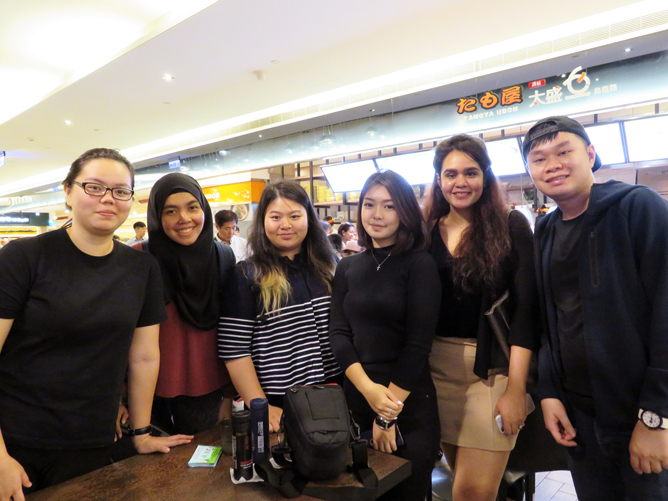 “My friend, who is an MDIS alumna, told me about how the school has a conducive study environment. The students are serious about their studies and MDIS has good facilities as well.” He continues, “He also told me that the lecturers would attend to your queries even after class, and stay back even till late into the night to answer any doubts.” Upon his enrolment, Joshua found these statements to be true. Realising that this industry was not one that would be easy, his experience in MDIS helped him tremendously in kickstarting his dream. Get your head start into the tourism industry with MDIS! Click here to find out more about the courses available. Having trouble answering interview questions? Navigate any curveballs thrown your way with this Q&A cheat sheet on some common questions you might face. There isn’t really a wrong answer to this question, but you might want to tailor your response to the industry you’re hoping to work for. Trying out media? Express your passion in creating content. Have a knack for business? Share the not-so lofty goals you seek to achieve in the long run. Ultimately, the aim is to assess your drive for the job and how willing you are to go above and beyond. “Being a perfectionist”? Bad idea. While employers are not looking for textbook answers, they want to know whether you are aware of your shortcomings and how you overcame it. If you had difficulty staying organised, talk about how you brushed up on your time management skills. What that being said, don’t get overly candid about your flaws, you don’t want to kill your chances of getting hired! Save the story about the time you had a meltdown over spilled milk for another day. This question evaluates your ability to cope under high-pressure situations, and knowing how you handle challenges helps to determine your work attitude. Being able to think quick on your feet and make smart decisions are desirable qualities for ideal candidate. Chances are your interviewer already has a specific set of requirements in mind, so your best bet would be to list out strengths related to the position you’re applying for, while sharing your thoughts on how you can further contribute. Not only will they appreciate you giving your two cents, it also displays the effort that went into your research. This shows that you’re well-prepared for the interview, on top of your dedication in being part of the company. This tests your knowledge about the industry’s strengths, challenges and opportunities. Ensure you’ve done your research beforehand – make a list of improvements you hope to see, and plan out how you can help to implement these changes. Your interviewer will have a clearer idea of what value you can bring to the table after understanding your standpoint. Just remember not to slam the company’s existing practices or strategies in your quest to impress! A flip side to the earlier question on weaknesses. Employers want to know what strengths you have that can help the organization. Choose strengths that are relevant to the industry you are applying for. But do not simply rattle off adjectives such as ‘hardworking’, ‘enthusiastic’ etc. as your answers. Instead, back them up with examples of real-life situations in which those aspects were presented. An example would be describing the number of organisations you liaised with to obtain sponsors for an extracurricular project as being a go-getter. Don’t provide a detailed account on your life! What employers are interested in knowing is a summary on who you are and how your experiences and skill sets make you a suitable candidate for the job. You should give a concise summary of your work history, highlighting the experiences and skill sets you feel are relevant to the job as well as reflect the company’s values. This will sound out to the interviewer that you believe in the right values and have the skills for the job. It serves to be prepared for this one – as this would be your chance to ask questions about the company that have not been covered during the interview, you should prepare a question beforehand. Additionally, you can expand on the points that were mentioned by the interviewer during the interview and pose follow-up questions from there. This shows that you are attentive to the conversation while leaving the interviewer with a good impression of you. We hope you’ll feel more prepared with these interview questions. Click here for more ways to prep yourself for an interview and score your dream job! This post was adapted from an article published in Portfolio, out on newsstands now. Scoring an interview gets you a foot in the door, but being prepared is half the battle won – here’s everything you need to know to stay on top of your interview prep game. This might seem like the most obvious thing to do, but there are still candidates who still show up having little to no knowledge about the company they’re intending to work for. Before even submitting your application, do ample research on the organisation’s history, values and services, check out their social media accounts, and even identify their main competitors. Also, read up on industry-related news so you have a better grip of the latest trends in your field. Understanding your company’s culture will give you an edge over the competition. From the moment you walk into the office compound, be friendly to everyone you meet along the way. Riding the elevator with a bunch of co-workers? Don’t just stand there awkwardly – step up and introduce yourself and initiate conversation. Leave the hard-selling for later; treat this as an opportunity to work on your soon-to-be colleagues. Even better if you memorised – all the better to greet them with after landing the gig. Avoid getting caught off-guard during the interview by conducting a mock session beforehand to work on answering questions you might be asked. Not only does it help to frame your responses, this allows you to polish your communication skills while easing your nerves before the actual interview. Get a trusted friend to act as the interviewer, but make sure they are adept in identifying the weak areas you need to improve on and provide constructive feedback on your performance. As the saying goes, practice makes perfect! Not every workplace requires you to don a formal suit but it’s important to look presentable; and overdressed rather than underdressed. To prevent a dress code mishap, attempt a bit of geotag researching on Instagram to observe what employees wear and pick out an appropriate outfit that fits the vibe. If all else fails, you can’t go wrong erring on the side of smart casual (think button-down shirt and pants for the guys and a well-tailored dress for the ladies). Pro-tip: have a second set of clothes handy to save yourself from coffee spills or wardrobe malfunctions. Trust us, you never know when you’ll need it. Tardiness is a big no-no in any situation, so be sure to have everything prepared the night before to prevent a mad scramble on the day itself – get your outfit ready, your documents filed away and your transportation route all mapped out. You can never predict when there will be traffic delays, thus its important to factor in a generous buffer time while commuting to your destination. Plan to arrive at least 30 minutes earlier, but use those extra 20 minutes to mentally prep yourself before the approaching the receptionist five minutes prior to the arranged time. While the proverb ‘the early bird catches the worm’ does rings true, showing up too early for your appointment can be a red flag, especially for employers who have schedules to attend to before that. This was adapted from an article originally published in Portfolio. Need more advice? Discover other ways you can prepare for an interview and more in Portfolio, our handy guide to helping young adults navigate the workforce and beyond!